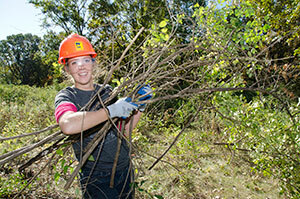 The DNR is committed to creating a healthy, sustainable, and livable Minnesota for you. We are dedicated to protecting and managing land, water, fish and wildlife -- and providing access to outdoor recreation opportunities. Call or email our Information Center with natural resource questions, to reach a conservation officer or to order publications. Report a violation in progress. Find a regional DNR office near you. Get details on hunting and fishing seasons, learn how to make reservations at Minnesota State Parks, find out what safety training courses we offer and much more. Check out our handy A to Z index. Our mission is to conserve and manage the state's natural resources, to provide outdoor recreation opportunities, and to sustainably provide for commercial uses of natural resources. DNR's Conservation Agenda contains four goals. Find Your Wild Life. Join our team of over 3,000 professionals. 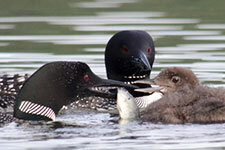 Help to conserve and manage Minnesota’s natural resources. We offer competitive pay and benefits. 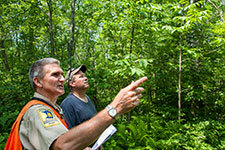 Learn how to setup a job search agent and apply for jobs at the DNR. Volunteers help to preserve and enhance Minnesota's natural beauty for the enjoyment of people of all ages, interests and abilities. Opportunities are available throughout the state.